At the time of the arrest, the accused has a right to be notified of the following rights. If the accused is represented by an attorney, the attorney will have the same rights as the accused (Thai Criminal Procedure Code Section 7). The accused has a right to an expeditious, continuous, and fair trial. The accused has a right to hire an attorney to represent him in a court hearing or trial. The accused has a right to have private meetings with his attorney. The accused has the right to examine any evidence which will be used at trial and make copies or photos of the evidence. The accused has a right to examine the court file and request certified copies upon payment of the fees. The accused has a right to examine and make a copy of his testimony or plea during questioning. If the accused has been arrested or detained, they are entitled to the following rights (Thai Criminal Procedure Code Section 8). The detained may request that the arresting officer to inform their relatives, the embassy, or a person that the he trusts the fact that he is under arrest and the place where he is detained. The detained has a right to privately meet with their attorney to seek their advice. The detained has a right to have his attorney or a person that he trusts attend his police interrogation. The detained has a right to visitation or contact with their relative at a regularly schedule or appropriate time. The detained as a right to medical treatment if he is ill or injured. After the person is detained, the arrestee or their attorney can submit a bail request with the investigating officer or a police officer. The investigating officer will review the application and check the arrestee’s documents. The investigating officer will then review the requested bail and the application, then make a recommendation on whether the bail should be approved. The bail will have to be approved by the court. If the bail has been granted, the bail money will have to place in custody and the bail contract is issued to the attorney or the bail broker. The accused will have to hand over his passport and strictly agree to the conditions of bail. Violation of the conditions of bail will result in forfeiture of the bail money and a new warrant of arrest against the accused. 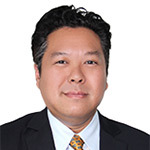 Mr. Robert R. Virasin is a graduate of the University of California, Los Angeles with a Bachelor Degree in Political Science, Mr. Virasin completed his Juris Doctorate at the University of Houston and a Masters of Laws (Business) from Chulalongkorn University, Bangkok. Mr. Virasin is a licensed attorney in the state of Texas with over 15 years of legal experience.